What do you get when you add together ridiculous amounts of loot, guns and enemies that yell about your mother? Another day in Pandora in Gunz Gunz Gunz……2. 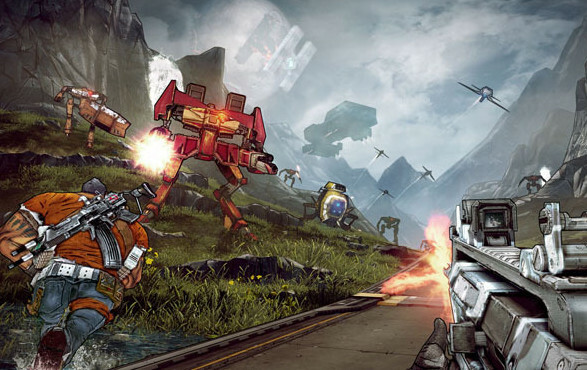 In 2009 Gearbox Software, who was already known for making the Half Life spin-offs and the great Brothers in Arms series, came out with the IP Borderlands. 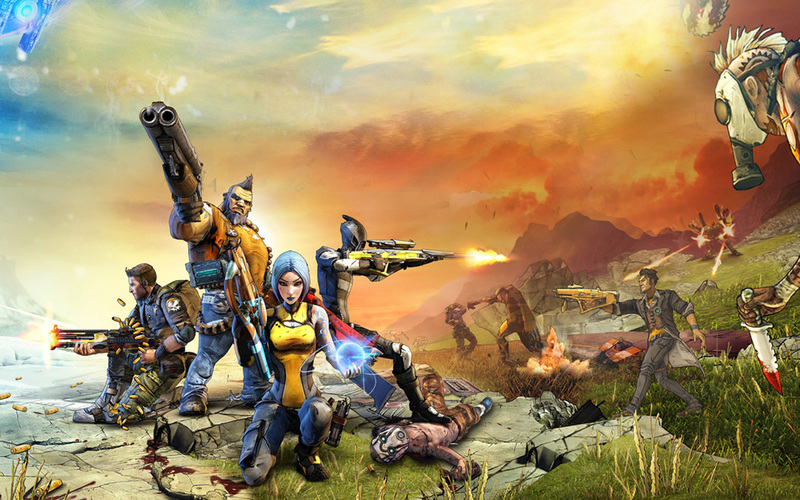 Borderlands was an action RPG that advertised as having the most guns in a video game ever! The game originally sold a decent amount of 500,000 units in the UK and US, but as the word got out the game became more popular by each year and has almost sold up to 3 million units in total. It was fair to say that by 2012 everyone needed more items to loot and more guns to shoot. 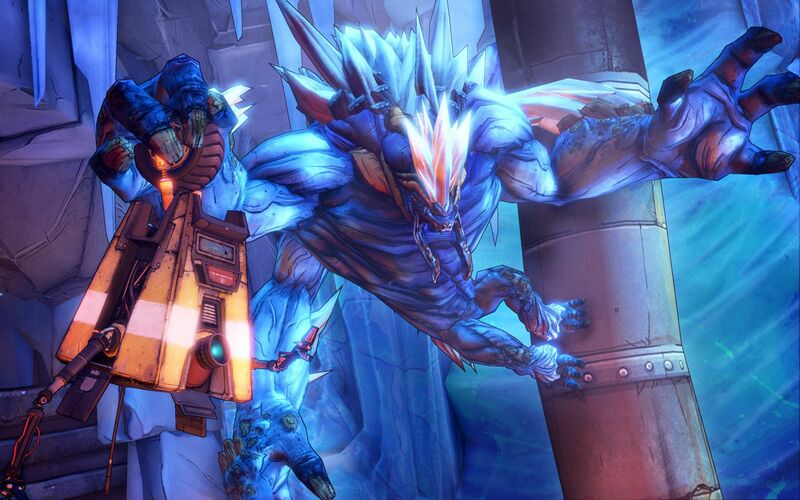 Borderlands 2 has taken everything from the first game and ramped it up ten fold. You play as one of the four new Vault Hunters, each with their own unique powers that can fit your playstyle, searching for the Vault and getting in the way of the big man on Pandora, Handsome Jack. Each action ability that is given to the characters can help any player in a sticky situation. The siren can telepathically lift enemies with her powers, the commando can lay down a turret to take down enemies, the assassin can become invisible and create a decoy, and the gunzerker can wield two guns. The abilities can be improved with points that are rewarded to you every time you level up and based on your decision you can build your character into a brutal killing machine or a support character that can help out the team. One of the best improvements about this game is that you can really tell that Gearbox focused more on the story this time around. In the first Borderlands I remember that whenever I would pick up an ECHO device, it wasn’t interesting at all and it was rare that a quest was memorable. This has greatly changed the entire world, every quest I took in borderlands I wanted to finish because of the story, a feeling I have not had since I played Fallout: New Vegas. While completing these quests enemies will yell hilarious things, characters from the first game come back to help out and Handsome Jack is always popping in to antagonize you. These quests may be a majority of go out and kill X amount of things or go to location Y to complete this objective but the characters really help make these quests fun. Another improvement that this game makes from the original is that the difficulty has been raised. Instead of enemies running straight at you so all you have to do is run backwards in a straight line, enemies dodge, roll, disappear and take cover. Also in this game your character cannot be built to be invincible, so you can’t equip all your items for health regeneration or make it so enemies do no damage to you. It may be a slight change for many fans of the first game who may be used to running into a group of enemies and taking them down but it’s a lot more satisfying getting through a village of nomads and psychos by using strategy and method with your friends, or by respawning at a new-u station 20 times. I noticed right at the beginning of Borderlands 2 that the color palette has been broadened greatly from the first game, ranging from snowy wastelands to acidic, slagged swamps. The variety of the game really makes you want to explore Pandora and see what is around every corner. Every new area you explore gives you XP for your character to level up their action abilities and within these areas there are hidden discovery points for you to find that will have you looking through all the doors and holes you can find. A fair question for this game is can it really be considered a true sequel or an upgraded version of the original game. 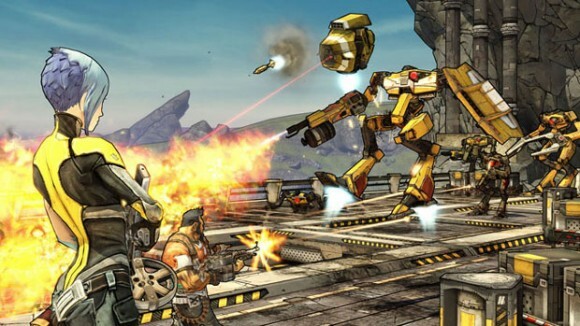 There are a lot of great things going for Borderlands 2 but nothing that feels super new, the game feels like Borderlands and I don’t mean in a series way, I mean it feels like the first Borderlands with better features. This isn’t something that has affected much of my time with the new game but I fear that it may become stale. My only hope is that if Gearbox wants to continue this IP they have to innovate instead of renovate.